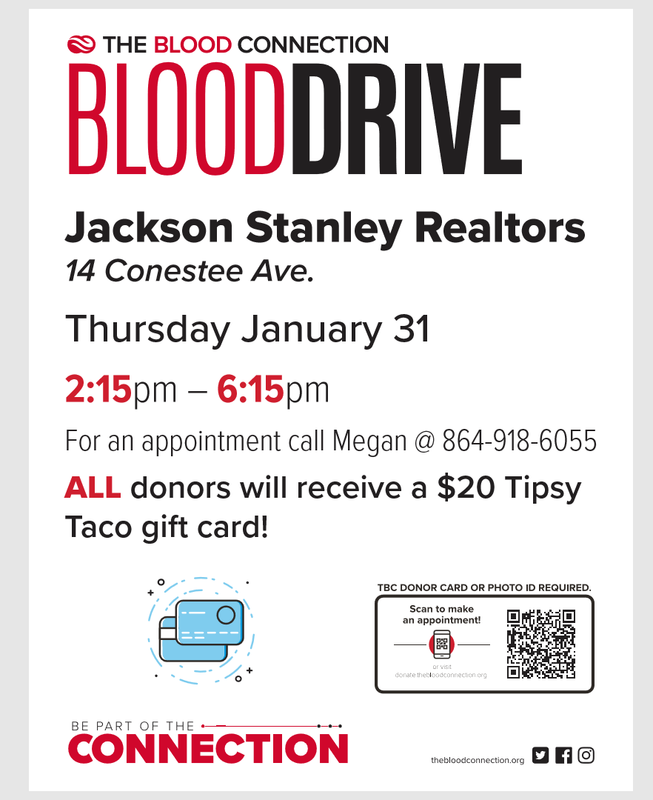 Jackson Stanley Realtors is hosting a blood drive with the Blood Connection Mobile! Every pint donated saves 3 lives. Also, the Blood Connection makes sure that all donations are to the local Upstate Hospitals. When you donate you get a $20 Tipsy Taco gift card!! Contact Megan today to schedule your donation time! 864-918-6055 or follow this link to schedule your appointment.